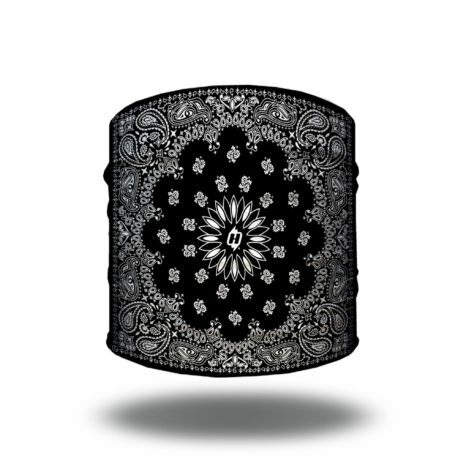 Black and paisley go together like Bonnie and Clyde. If you’re thinking about robbing a bank or harassing some train passengers, pick up one of these! NOTE: Hoo-rag does not approve of robbing banks, harassing train passengers or any other illegal shenanigans. DUH. Half Hoo. Great product! Light wieght. 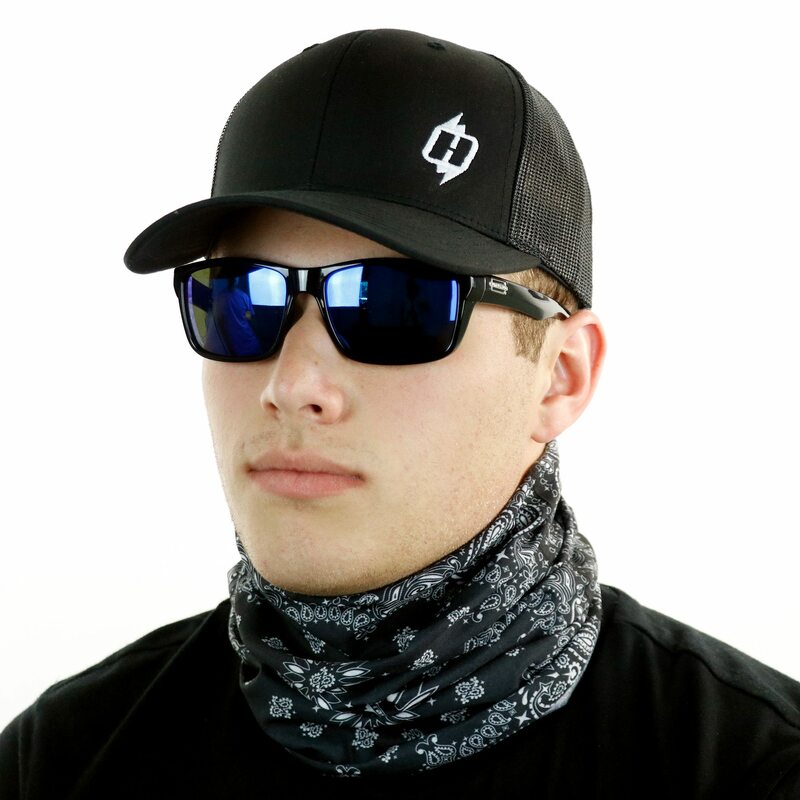 Perfect for riding whether you are wearing a tee shirt or looking for an extended collar to cover your neck when wearing a scooter style collar leather jacket. 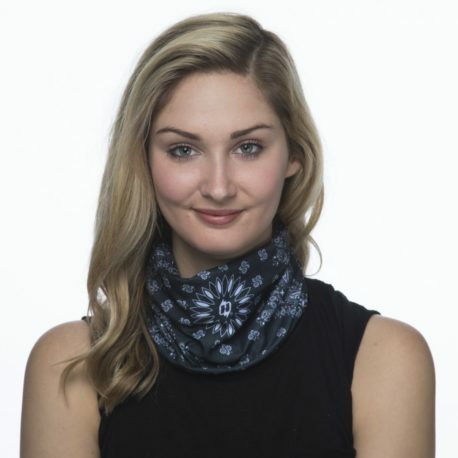 No bulky knot like a standard neckerchief. Amazing how the fabric helps keep you cool as well as warm. I will be back for more! LOVE IT! I use my Black Paisley Hoo all the time. 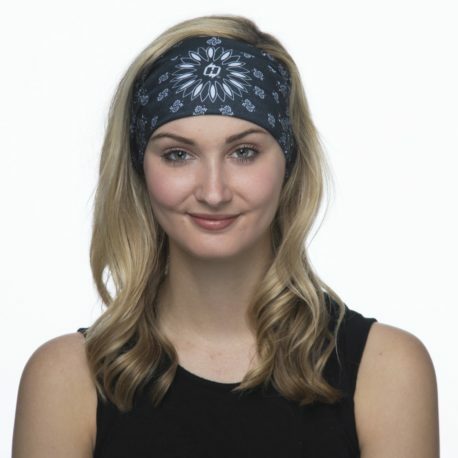 It really is the perfect headband! I have a lot of thick hair and I can always count on my Hoo to hold it down. I use it when I’m cooking/baking, walking or running a few errands around town. I love love love my Half Hoo! Best quality. Beautiful colors. Highly recommended! Bought a black paisley and the blue paisley both Half-Hoo’s, I’m male with shoulder length hair that my wife thinks is so much cooler than my former GI buzz cuts, so these keep the mop out of my face rather nicely. Works as described and looks great. Quality material as well. I use it in the gym as a head band and it covers my forehead completely (and I have a lot of forehead.). This Hoor-rag is great. 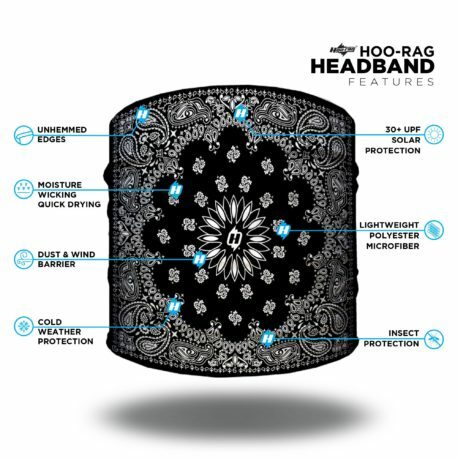 I use it for a headband while riding. It wicks any moisture on my forehead and is stylish and cute! The best perk is that it stays put on my head. It does no slip up the back or slide Back off my forehead. If you are a woman you will understand. Color stayed bright after washing as well. I love the hoo rag line up! Always a winner! Fits and looks great! We will be pass the word on your company. Order came with a few days. Great response. Thank yoooo hoorag!! Love the half hoo! Doesn’t slip off like all the other bands i have tried! I have purchased 15+ Hoo-rags, half of those were half-hoos. That being said, the black paisley hoo seemed to have a different feel to it. Not a bad feel, but the fabric is a tiny bit less stretchy, and a tiny bit tighter. I love the design and I wouldn’t return it for anything, but I really like the others better because I have a LOT of hair!